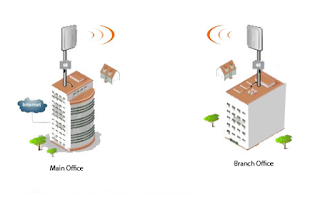 Mikrotik and Ubiquiti are unarguably two of the best things that have happened to wireless connectivity in the networking industry. In addition to providing low-cost alternatives to Ericsson, Nira, ZTE, Huawei and the rest, they afford flexibility and are not highly sensitive to power fluctuations like their expensive counterparts. I find Mikrotik router boards highly engineered and programmed to do even the most advance tasks performed on Cisco core routers. 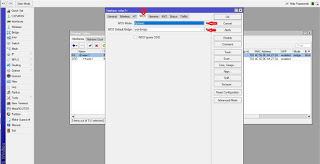 Mikrotik has been able to integrate the ability of a core router and a wireless access point all in one board leaving the user with the ability to make the most out of it; making it one of the best choices available whether for Point to point or point to multi-point set up. 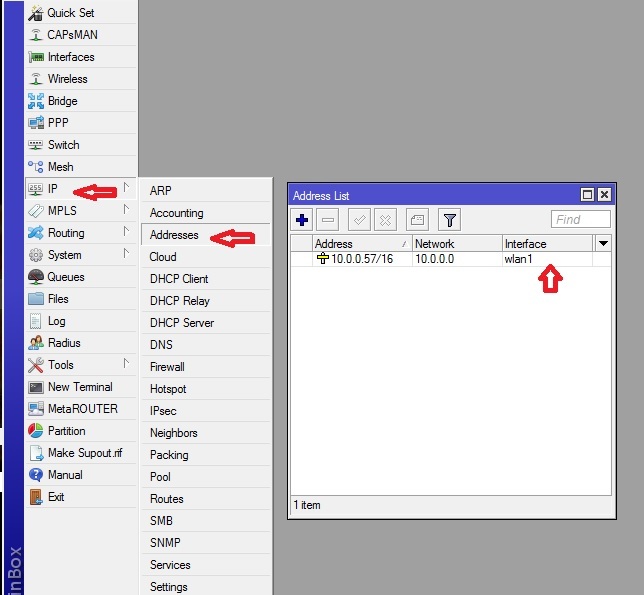 In this demonstration, we will at the configuration a Mikrotik Poin to Point. 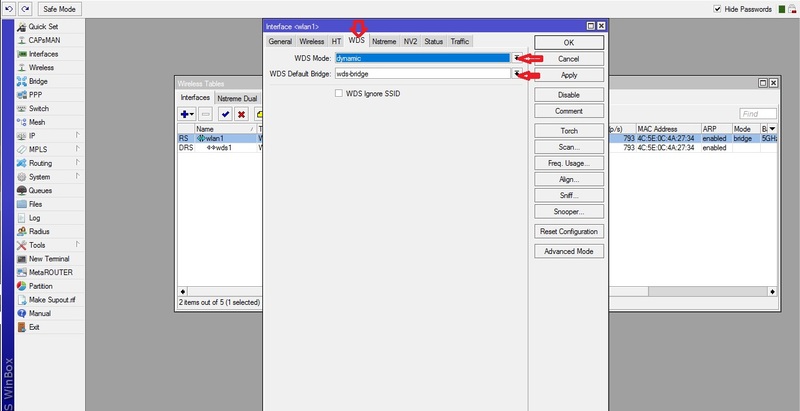 Establishing a point to point link on Mikrotik is easy and straight forward and can provide you with sufficient throughput if configured properly. 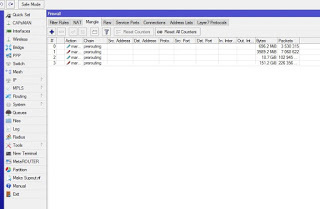 Mikrorik Point to point links, unlike point to multi-point links, are designed and optimized to narrow their spectrum, avoiding interference, and by do doing, provide efficient data throughput. You must have carried out a site survey, noting the distance between the two locations as well as the altitude of both locations. This is important as it will help you in determining the height of your pole or mast at each of the locations, as well as in choosing the type of antenna you are to use. 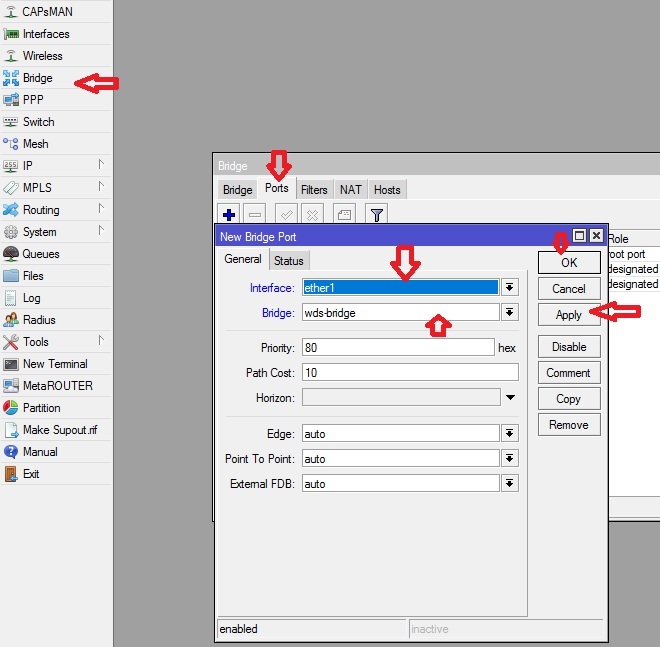 >>Create a bridge interface and assign ports to the bridge: click on bridge on the main menu on the left, click on the plus sign and give your bridge a name. 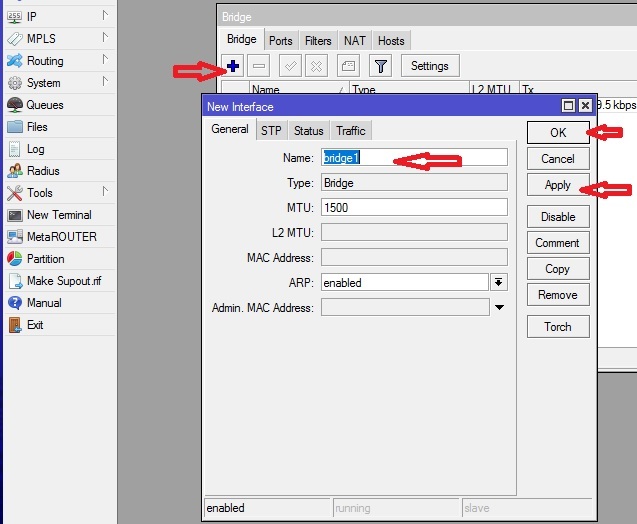 Next, we assign an IP address to the bridge port. It must not be assigned to the bridge. 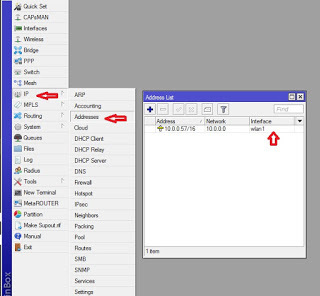 The IP can be assigned to any of the three interfaces. Either the Lan, Wlan1 or Bridge ports and it will work correctly but its usually best to assign it to the Wlan1 interface so that you can still access the radio remotely through the wireless interface even when the LAN has been disabled. 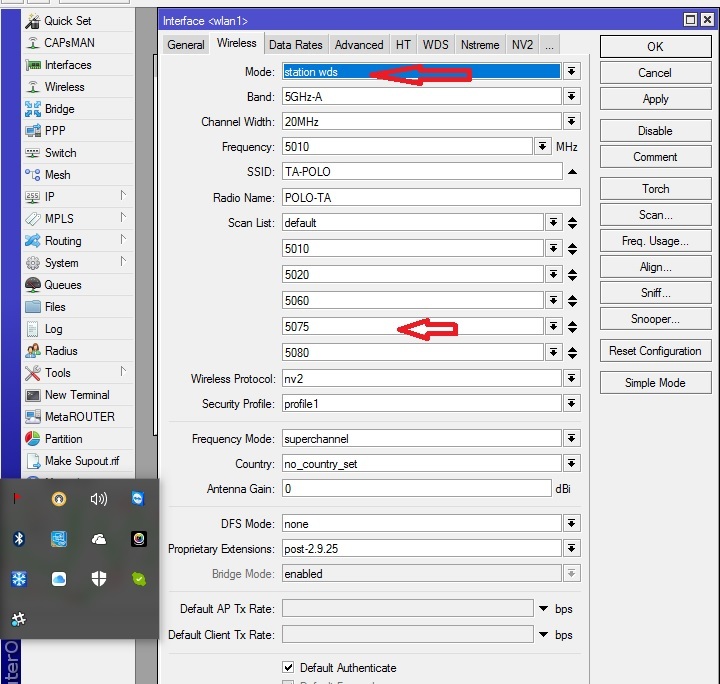 >>Click on Wireless, double click on Wlan1, and click on the wireless tab beside the “general”tab. 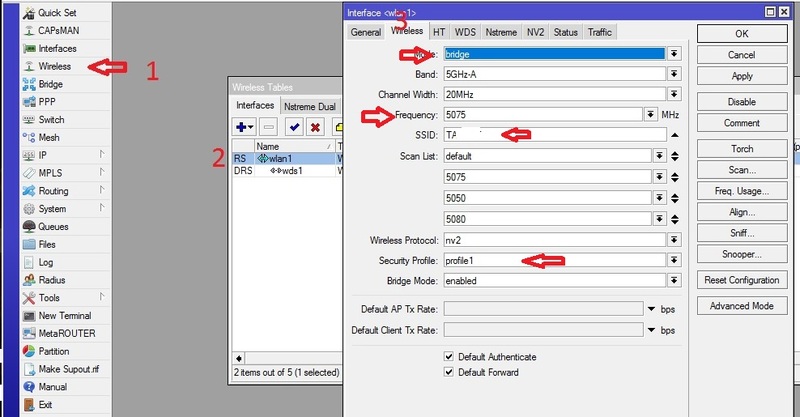 Set Mode to bridge, enter your SSID, chose a frequency depending on what is available for your country, select your security profile if you want to put security on it, if not it will still work. See here for how to create a security profile. 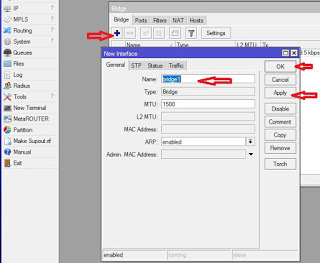 To configure your default route and NAT, see here. If you already know that, move to the next step. The next step is to set up the other radio. The configurations are almost the same. 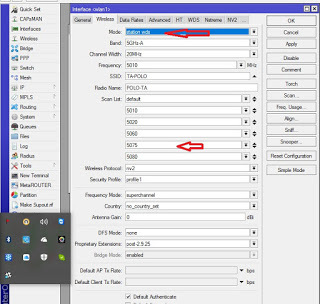 The on the difference is that the mode will be set to station-wds and you have to put the frequency on the first radio in the frequency scan list of the second radio, provided you are not using a frequency from the default frequencies. The default frequencies are written in bold. 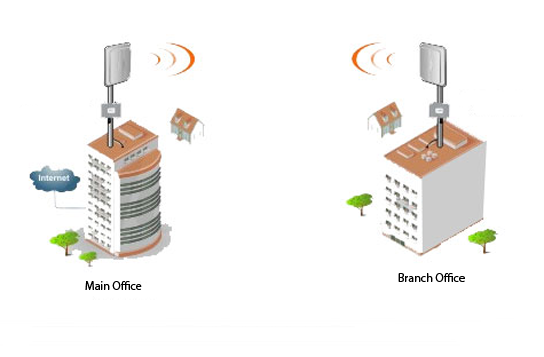 Once you are done with the second radio, mount the first, making sure it is facing the direction of the second location, take the second radio to the second location mount it, connect to it, scan for wireless access points and you should see the one you installed at the first location.